The odds of getting through a flight without anyone doing anything gross are about as slim as Snoop not dropping f-bombs on Todd Haley after a Steelers' loss. 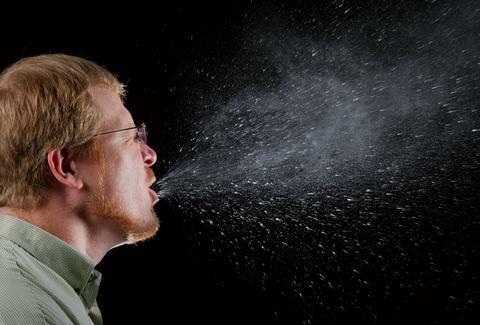 And talk about gross, now there's a video simulation that shows exactly how far the snot particles fly every time someone on a plane sneezes. Hooray recycled air! The clip by Pennsylvania-based engineering company Ansys shows when someone sneezes at 36,000ft, particles are sent up to 50ft in every direction thanks to pressurized cabin air. Yum. Snot beads are pumping in every direction, and tons of germs are just dying to reach your seat. Beware especially, though, if you’re sitting directly next to someone with a cold; as you'll see in the video (designed to help advise the Federal Aviation Administration on improving cabin conditions), passengers immediately surrounding the sneezer are basically in for a direct hit of booger vapor. Watch for yourself to see where the germ blast zone erupts and soon overtakes the cabin. Suddenly, the people wearing those dust masks on planes don't look so silly.